I don’t have a degree. Not a bachelors or a masters. No PhD. In fact, I don’t even have an associate degree. Yet I have held a number of job positions that “required” a college degree. I work as an editor, and I often teach. Many times those in the audience hold higher degrees than I do. I’m an autodidact. One who is largely self-taught. This is not a sigh of my genius or a consequence of an extremely high IQ. I don’t claim, and am pretty sure I do not have either of those things. The most valuable thing I gained from being educated in a private school was the ability to research, and learn on my own. It all started with one small thing. I loved to read. Not just one thing, everything I could get my hands on. I learned about places I had never been, subjects I had never heard of, and people I had never met. For a boy who grew up in Southeastern Idaho, poor, and without the advantage of world travel, the results were astounding. Science fiction led me to do a research report my freshman year on anti-matter, something I thought a thing of fiction before I visited the local library. Astronomy caught my eye for a brief semester of college (it was really a girl, but then I digress). Ribsy (Beverly Cleary) and Black Beauty led me to a love of animals. The Hardy Boys series made me a child detective, forever wanting to find and solve mysteries. 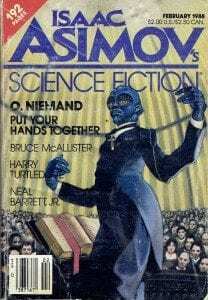 Later, reading Asimov, Heinlein and Arthur C. Clarke caused me to question many of the things resting at the core of my beliefs. I could go on, and bore you for hours about the authors I read, the influence their stories had on me, the interest they sparked that caused me to dig deeper, want to learn more. 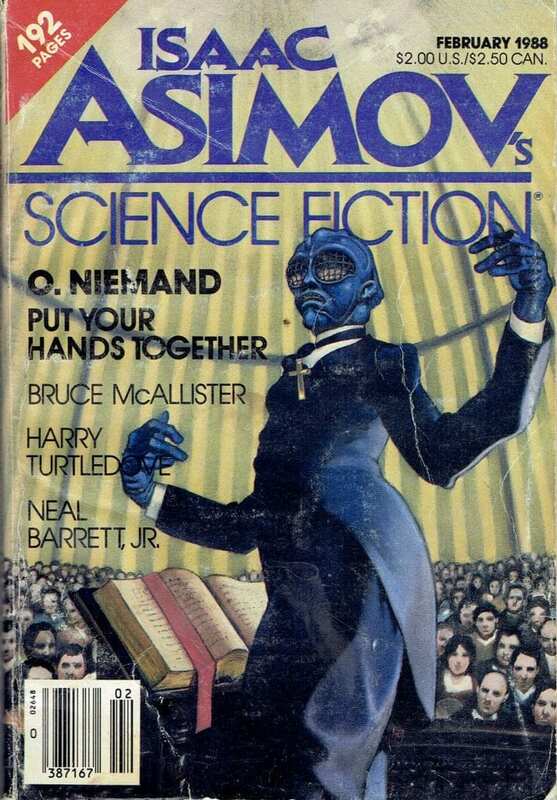 The short story “Put Your Hands Together” by O. Niemand in Isaac Asimov’s Science Fiction Magazine (February 1988) changed my view of church in a few short pages. Every now and then, I read it again to remind myself of a lesson I should have learned the first time I heard it. The point is, reading shaped my life. It sparked learning, and ignited a passion inside me for what I do today. I still read, a lot. I write almost as much. I learn new things every day. Reading gave me something school just couldn’t. I studied, and received my education outside traditional means. I took the path less traveled, and that has made all the difference. Read. Encourage your kids to read. I promise, it will change your life. great article. I have a PhD in Zoology and a masters in secondary education as well as my primary degree in biology. But my basic training was watching David Attenborough wildlife documentaries from the age of about 8 or 9 (I can’t even remember but I know that when I wanted to go hunting at age 11, everyone was asking me if it was for me since I loved wildlife so much). Later, when I came to teach biology in high school and college, most of the examples and things I used to help explain things to my students (and make the stuff interesting, though one guy once told me he didn’t understand a thing and he only listened to me because he thought my accent was funny – he’s reviewing my book now, so I’m hoping he picked up something) came not from what I’d learned in college, but from what I picked up on the TV or in books (non-textbooks) I’d read. The PhD just proved I could do research. And if someone loves to read, and observe, they’re doing that already.